How should one contemplate the mystery of the divine decrees, and of eternal election? Our Confession of Faith gives direction to this end (3.8); in this same vein, Brown of Haddington offers several searching thoughts on this topic that we would consider well. “Having thus reviewed the mysterious purposes of Jehovah, think, O my soul, if even the supposed possibility of His having loved me, having so early loved me, and thought on me in my low estate, ought not, in the earliest periods of my life, to have instigated and animated me, to exercise my utmost care and diligence in improving the gospel method of certainly knowing that these things were so. Upon the apprehension of a mere possibility of future existence in this world, what thoughts, what cares, what labors have I exercised about the concerns of it, from time to time? Why then so few, and these so languid, so lifeless, about things of infinitely greater importance? things of infinite, of everlasting consequence? “But hath the great, the eternal God, thought, always thought on and loved me? And have I spent so many moments, so many hours, so many years of my short life, without thoughts—without high, fixed, and heart-inflaming thoughts—of Him? without love, without superlative love, without an all-subjecting, all assimilating love to Him?—Hath the infinite JEHOVAH, with all His heart, chosen ME to be His vessel of mercy, His jewel, His portion, His friend, His child, His bride? Ought not I, if I had ten thousand hearts—ought not I, with them all, to choose Him?—Him, who is infinite LOVELINESS and LOVE, for my SAVIOUR, my FRIEND, my FATHER, my HUSBAND, my GOD, my ALL?—Passing by millions, not one of them worse, did He set me apart for Himself? And shall not my soul prefer Him to every trifle of creation? Whom, my INFINITE ALL, have I in heaven, but THEE; what on earth do I, dare I, desire besides THEE?—Hath He, in His persons and perfections, so exerted Himself in the establishment of my election—my eternal salvation? Let me work together with Him, giving all diligence to make my calling and election sure.—Did He choose me to holiness, to love? Let me follow hard after it, as a part, a mean of my eternal felicity.—Hath His unchangeable purpose infallibly fixed me and my everlasting salvation, in Himself? Let me be steadfast, unmovable, always abounding in the work of the Lord. “But is there a tremendous purpose of reprobation? Break not through, my soul, unto the Lord to gaze; but, if I be uncertain with respect to my state, let me exceedingly fear and quake. Let me escape for my life. Arise, O my sleeping soul; cry mightily to thy God, thy offered Saviour, that He may think on me, that I perish not. Let me give Him no rest, till my salvation go forth as a lamp that burneth, till He say, Fear not, I am with thee; be not dismayed, I am thy God. I have loved thee with an everlasting love, and therefore with loving-kindness have I drawn thee. —John Brown of Haddington, A Compendious View of Natural and Revealed Religion (1782), pp. 190, 191 (see here for more information). 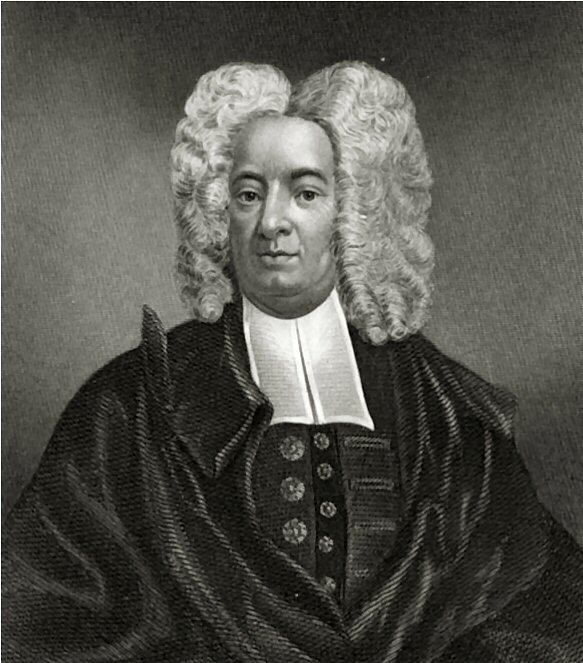 The Puritan Isaac Ambrose was an English Presbyterian serving mostly in the north of England, and like many of that era pushed out of his pulpit by the marauding conformists, was a preacher of not a common dexterity and depth. His sermons were said to cause even the most mature Christian to pause and weep for their sins and admire afresh the beauty of the grace of their Savior. While not a lot of his works remain extant, the ones that are available should be on the kindle and pdf bookshelves of any serious Christian. Today in this post I want to examine and lay before you a couple of “wings” upon which Ambrose calls the Christian believer to rest as they come into faith in the Lord Jesus Christ and trust in Him for Salvation. These “wings” follow Ambrose’s eight signs of true conversion, which themselves are worth meditating on in your devotions in making your calling and election sure. If then as yet thou feelest not this mighty work of God in thee, and yet fain wouldst feel it; I shall lend thee two wings to lead thee, to the foot of the ladder, where if thou ascend these steps aforesaid, I dare certainly pronounce of thee, thou art born again. This point cannot be made too much. These evangelical sermons, not just of Isaac Ambrose, but any number of Puritan pastors, were preached to men and women who had sat through hundreds of sermons and were regular attenders to the services of the Church, yet never heard the Gospel as given in the Holy Scriptures. This is one of the reasons why it is vital that every sermon preached in Christian worship lay before the hearers the place of the sinful human being in the wrath of God and the perfect life, death, and resurrection of the risen Christ and His payment for the transgressions of His sheep, both in Adam and in themselves. In preaching in the way that he did Ambrose is cautiously and deliberately walking his flock through the means of Grace in God’s appointing for salvation in order that they might find comfort in the mercy of their Heavenly Father. So in light of these things here are the two wings upon which Ambrose calls upon these people and you to rest as you wrestle with your own heart and the doubts that undoubtedly will accompany this work of the soul. The soul may object again, ‘How can I pray, and have not [true] faith? I answer, put thyself upon prayer, and who knows but blessing and faith may come? It is the Lord that converts, and heals, and saves; and prayer is the means to produce this effect: when we are required to pray, to repent, and believe, we are not to seek strength in ourselves, but to search into the covenant, and turn the promise into prayer. One can hear in these words the prayer of the doubting man in Mark 9 as he spoke to Jesus about the healing of his epileptic son. He found himself in the presence of the very Second Person of the Trinity and was turned out by his own uncertainty, yet Christ calls on him in the warm compassion of a true shepherd to rest and trust in the promise despite what his heart may be wavering upon. This is the kind of thing that must be at the forefront of the Christian’s search for assurance. If you are having moments of doubt Ambrose and the Word of God pleads with you to go to God in prayer and rest lovingly in the peace which comes from this blessed gift. Certain it is, no man should expect God’s blessing without his ordinances, no eating of bread without ploughing and sowing, no recovery of health without eating and drinking; so no blessing, no grace, no regeneration, without waiting upon God in His ways, and in His ordinances. In other words how can you expect to grow in your knowledge of the mercies of God and be grounded in the comfort of Christ if you do not seek to be under the glorious love of the Word of God in the unique pleasures of corporate worship? The blessings of this particular work of the Holy Spirit in girding up the Christian in the elements of Lord’s Day worship is why God calls on you to not forsake the remembrance of the resurrection of Christ and the vital place it plays in your assurance of faith. When calling New England to repentance, Mather did not mince any words. He knew that their sin had brought them under the sore displeasure of the Lord Jesus Christ. How American Christians should take heed to this most sober and solemn warning. The church in the United States does not want to realize that we as a nation have been receiving the “Tokens of His Displeasure” for some time now. The nation does not want to confront our great national sins; the church wants to slumber without confronting our sins. We live in a nation where a large segment of the population profess Christ without actually knowing Christ, yet the church in our land seems content to allow many to slumber into hell than to awaken them with the reality of their state! 10B But the LORD thundered with a great thunder on that day upon the Philistines, and discomfited them; and they were smitten before Israel. The United States needs this profound experimental humiliation! There are very few real tears in our day over our own sinfulness as men and the sinfulness of our nation! There are few calls for the whole nation to have a broken heart over our inquity, but we need this—our nation needs a heartfelt sense of sin and the broken and contrite heart of repentance (Ps. 51:17; Isa. 66:2). We should pray that our national leaders and church leaders will do as Israel did in 1 Samuel 7:6, and acknowledge that our nation has sinned against the Lord. Mather is here calling the people to pray. In the United States today, the church is not looking to the Lord in prayer as she is called. I fear that the church lacks the spirit of prayer and has forgotten the word of James 5:16: “The effectual fervent prayer of a righteous man availeth much.” In our own churches, we seldom pray for our nation’s leaders or our nation’s state before the Lord; nor are professing believers as ready to bring these matters before the Lord in private prayer. Mather particularly called upon his hearers to pray to God for His blessing upon the nation and its people, and for the conversion of those around them. Secondly, Mather called them to supplication in prayer so they could escape from God’s impending judgment on their irreligious land. (If you look at New England now, you will see quite readily that that judgment came.) Christians in the United States should pray for national repentance and cry out to God in supplication that He would turn us from the road which we are on. He also called upon ministers of the gospel to lead the way. This should be a somber reminder to church officers that they must lead and shepherd the saints. In our nation today, we have so many “ministers of the gospel” who merely entertain and do not preach the full counsel of God; how this fact alone should drive the Christian to most earnest prayer! We are called to strive to strive thoroughly for the reformation of our land, through the preaching of the gospel, living of godly lives, and lobbying for godly government. We must preach the gospel in all its fullness. We must not compromise; we must rather strive against all enemies, because we know that the Gospel will ultimately be triumphant! 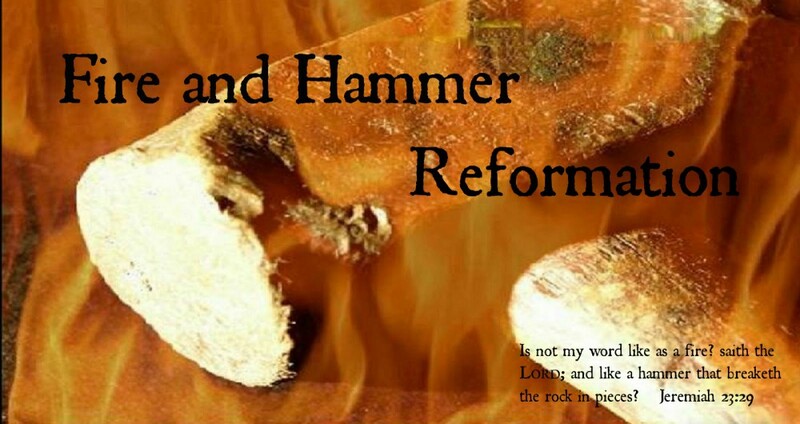 We must work to govern ourselves in a godly manner, striving to have a godly framework of government and godly Leaders. Let us strive for this great reformation in our land. Now let us go forth, calling to mind our national sins and repenting of them, praying with earnest supplication that God would be merciful to our nation; and let us strive for reformation, to have a land where iniquity is not prized, but rather where Christ is King. When whatever end we have in our actions, the glory of God is still one of our ends in acting. It must not only be our end, but it must be our main and principal end, that which we chiefly design. When it is the ultimate end, the last end, the top and perfection of what we design, beyond which we have no more view, and to which all other ends are made subservient, and as means to that end. With that point clarified, let us consider this question as it applies to the preaching of the Word of God. This may be considered in two respects. Man’s chief end [in preaching] is to glorify God [to declaratively glorify God, i.e. worship him], and to enjoy him for ever [to experience true fellowship and communion with him in spiritual worship]. Man’s chief end [in preaching] is to glorify God [that God’s glory would be manifested, i.e. that God would glorify himself], and to enjoy him for ever [in the hearers’ being drawn into spiritual fellowship with him, i.e. in their salvation]. Just as the Catechism holds out two things as the one “chief end of man,” so there are really two things comprehended in the one “chief end of preaching”: the worship of God, and the salvation of the hearers. Preaching is, on the part of the preacher, an act of worship; and the design, aim, and goal of preaching is to lead the hearers into worship. “The sound preaching; and conscionable hearing of the Word, in obedience unto God with understanding, faith, and reverence” is one of the “parts of the ordinary worship of God” (Confession of Faith 21.5)—we might say, the “chief” part of ordinary Sabbath worship. Likewise, the design and goal of preaching is that both preacher and hearers would be saved (1 Tim. 4:16). In this case, “salvation” is a concept large enough to embrace both the conversion of those who are still dead in trespasses and sins, and the sanctification of those who are already converted. Giving application to the hearers (whether or not such application is searching or convicting). 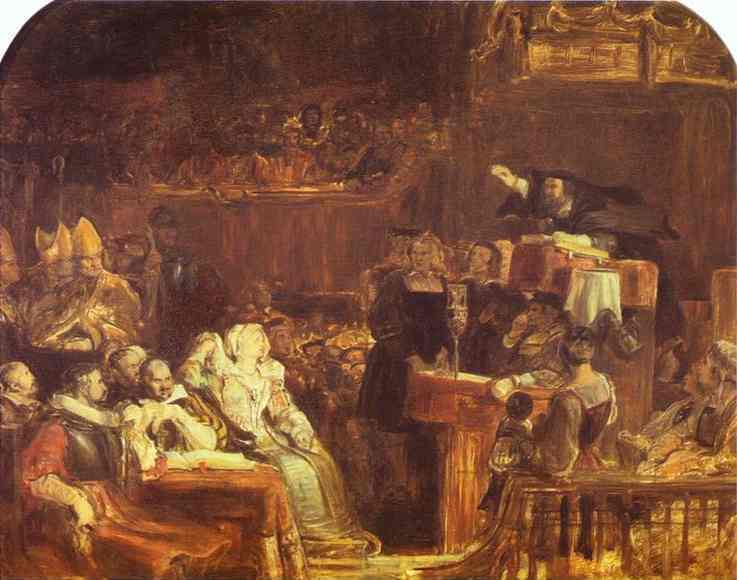 It is my conviction that the root problem with what passes for preaching in many Reformed pulpits today is not dry intellectualism, manuscript reading, lack of application, or commentary-style lectures. The root problem is a tendency to take some of the above subordinate ends (as well as others), and substitute them as the chief end. Many of these other problems would tend to resolve themselves, if this were addressed and corrected. Proper interpretation of the Scriptures is important; both the immediate context of a passage and its larger redemptive context are important to consider; and “application is the life of preaching” (James Durham). But strictly speaking, these are all means by which one accomplishes the chief end of preaching; they are not the end themselves. If you are a preacher or minister of God’s Word, I would ask that you consider these questions, and search your own heart, as well as your own preaching. 1. Do your sermons breathe a spirit of worship? Do you, by your words, even mannerisms, seek to evoke reverence to God on the part of your hearers? Do you speak of Him as “the high and lofty One that inhabiteth eternity” (Isa. 57:15), unto whom we must approach in worship only through the blood of His Son (Heb. 10:19)? More than this, are you actively worshipping God during the whole time that you are preaching to your congregation? Or are you rendering praise and glory to the Triune Jehovah through your lack of preparation in the Word? your want of due reverence when in His presence in a special way? your jokes which would be questionable anywhere else, but which are blasphemous when delivered from the pulpit? or your failure to lead worshippers in worship, during the most important part of the worship of God? 2. Seeing that the preaching of the gospel is the instrument God uses to awaken, convert, and sanctify its hearers; do you preach, so that your hearers would be saved? Before, during, and after the sermon, are you in fervent prayer to God that He would bless His own means to the conversion of souls? Are you gripped by the reality that your hearers almost certainly include those who are lost, hell-bound sinners, heading for a Christless eternity? Are you persuaded in your own mind and heart that the sanctification and holiness of your hearers is so important, that without it they shall never see the Lord (Heb. 12:14)? Or do you preach as a practical hyper-Calvinist—perhaps in your creed affirming the free offer, but never actually offering Christ and His salvation? Do you have more concern when you refer to the wrong tense or aspect of a Greek verb, than when you preach without regard to your hearers’ souls? Do you think that you can “preach the word” (2 Tim. 4:2), without preaching the gospel (Acts 8:25), or preaching Christ (Acts 8:5, 35), and Him crucified (1 Cor. 1:23)? “For when for the time ye ought to be teachers, ye have need that one teach you again which be the first principles of the oracles of God; and are become such as have need of milk, and not of strong meat” (Heb. 5:12). Learn again your Catechism, and seek after that chief end, not only in your life in general, but in your preaching as well; and may the Lord richly bless you and your preaching this coming Sabbath. If you are one who ordinarily sits under the ministry of the Word (rather than one who ordinarily preaches the Word), consider this “chief end” as it pertains to you. Your aim, your goal, in hearing the preaching of the gospel, must be to worship the Lord, and to be saved (whether you are converted or unconverted). Your ultimate goal must not be that you would receive farther information or instruction, or even that you would be emotionally moved by the preaching. Yet many, particularly in churches blessed with experiential preaching, seek as their main aim and goal that they would have their feelings or affections raised—that they would feel in their souls the truths being proclaimed, or the admonitions or warnings urged. It is certainly true that good preaching will involve these things, as the Word of God is applied to the whole man, including the affections. But unless your chief end in hearing the Word is God’s worship and your salvation, your desire to have your affections stirred up is a replacing of the chief end with another subordinate end. 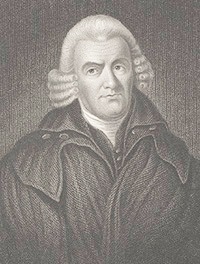 Thomas Boston, after referring to a person who “prays more fervently, hears attentively, and strives to get his heart affected in every religious duty he performs,” concludes with these frightening words: “Wonder not at this, for there is nothing in it beyond the power of nature, or what one may attain to under a vigorous influence of the covenant of works.” Do not rest content under the preaching of the Word if your “heart is affected in every religious duty”—do not rest until you have closed with Christ, as He is held forth in the gospel; and may He have all the praise and glory for your salvation. How should we dwell upon the divine mystery of an infinite God in three divine Persons, and make application to our own souls and lives? “Now think, O my soul, what an insignificant nothing I am before this infinite, this eternal, this all-mysterious God! How little a portion I have known or even heard of Him? How astonishing, if He be a Saviour, an Husband, a God, an ALL IN ALL, to mean, to vile, to monstrous, murderous ME! “Alas, why did, why do I, ever exchange this inestimable pearl of great price, this unbounded treasure of Godhead itself, this infinite Lover, nay, LOVE; for that which is of no, of worse than no, value? Why despise eternal LOVE, for the sake of a transient shadow? Of a taste of gall and wormwood? of vanity and vexation of spirit? Alas, why doth ever my heart turn from Him? Why do my desires after Him ever cool or flag? Why is my love, my life, ever unanswerable to His unchangeable excellency and kindness? When these INFINITE THREE are ever with me, are all my own, why am I not always ravished with Their loves? Why am I not ever listening to Their voice and pouring out my heart into Their bosom? Why doth not my soul talk with Them, when I sit down, and when I rise up? “But have these honored, these true and faithful, these unchangeable THREE, by solemn oath, attested and confirmed every promise of the new covenant, that I might have strong consolation and good hope through grace? Dare I then stagger at the promises through unbelief, and not be strong in the faith, giving glory to God? —John Brown of Haddington, A Compendious View of Natural and Revealed Religion (1782), pp. 164, 165 (see here for more information). In reading older Reformed works one always comes to the conclusion that Solomon’s well-known words “there is nothing new under the sun” (Eccl. 1:9) are so obviously correct as to be unassailable. This is most true it seems when it comes to the Presbyterian church and her worship. As anyone reading this post is more than aware there has been quite a declension in the normal mode of operations when it comes to the Lord’s Day worship of the people of God in our several Presbyterian denominations over the last century. What once was a hallmark of our faith (Regulative Principle worship) has given way to a hodgepodge of everything from Broad Evangelical worship concerts to near-High Church Anglican practices. The Sabbath is a complete unknown, and in fact is derided, mocked, and ignored. Much digital ink has been spilled chronicling the truth that just because it says “Presbyterian” on the door is no guarantee what one will find inside. While a few still hold on to the older, biblical forms finding even moderately regulated worship in confessional Presbyterian churches is becoming more and more rare the longer we are away from the position of our forefathers. Now it is certainly the case that there is a resurgence of sorts in our circles, especially as books from the period of fidelity to WCF 21 become more available via the common grace blessings of the fine folks at Internet Archive and Google, but this is not what one would call a significant, or even negligible sea change in the general trajectory of confessional Presbyterianism in America (or elsewhere) today. Going back to the aforementioned dead white guys and my reading thereof I recently stumbled across a short work by Scottish Free Church minister James Begg. Begg is probably best known in Scotland for his work with Thomas Chalmers in moving the government to provide better living conditions for the poor (not sure how that sits with the libertarian streak in Presbyterianism these days, but that is another issue for another blog post) and was also involved with Dr. Chalmers in the creation of the Free Church after the Disruption of 1843.